It is like a bad script from a horror movie. You find yourself at a mass shooting, survive that tragic event, and then die in another one. Sounds like urban folklore. But it has happened. And it has occurred again. Recently. 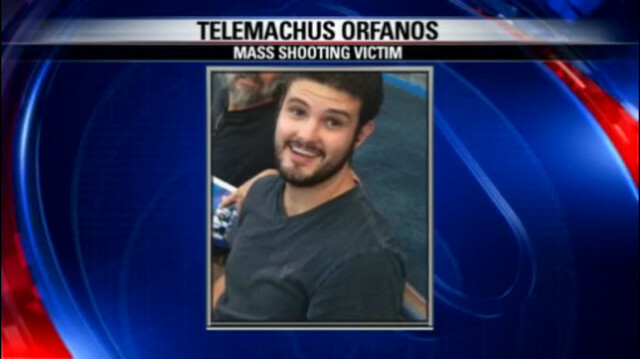 Telemachus Orfanos, 27, was a Navy veteran who survived the Las Vegas massacre on October 1, 2017. 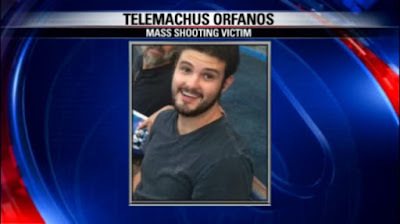 But then he was shot and died on November 7, 2018. After Orfanos was killed in the Thousand Oaks' Borderline Bar and Grill massacre, his mother demanded actions, not words. "I don't want prayers. I don't want thoughts. I want gun control," Susan Orfanos said. "I hope to God nobody else sends me any more prayers. I want gun control." On June 2, 2012, one person was killed and seven others injured in a shooting at the Eaton Centre in Toronto. That was at a food court. 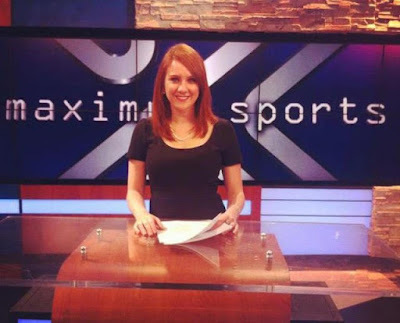 One of the witnesses Jessica Ghawi (a/k/a Jessica Redfield) was a sports writer. She experienced a “feeling” and left the food court at the Eaton Center right before the shootings. I can’t get this odd feeling out of my chest. This empty, almost sickening feeling won’t go away. I noticed this feeling when I was in the Eaton Center in Toronto just seconds before someone opened fire in the food court. An odd feeling which led me to go outside and unknowingly out of harm‘s way. It’s hard for me to wrap my mind around how a weird feeling saved me from being in the middle of a deadly shooting. Source. She wrote: "My receipt shows my purchase was made at 6:20 pm....The gunshots rung out at 6:23. Had I not gone outside, I would’ve been in the midst of gunfire." Jessica Ghawi was later killed in the Aurora Colorado shooting, during The Dark Knight Rises screening, on July 20, 2012. Back to the Las Vegas shooting of 2017....where 22,000 people in the crowd did survive. There has been a good deal of "conspiracy theories" about this shooting, and some of it has involved the death of survivors. A good deal of this has been greatly exaggerated, however. One factual story is of Dennis and Lorraine Carver (pictured above). 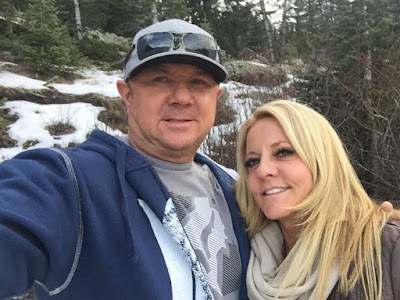 But then, Carver and her husband Dennis were killed on October 16, 2017 in a car accident near their home in Murrieta, California, when their car veered off a curve in a road and catching fire. Investigators say that the Las Vegas shooting survivors somehow crashed their vehicle into a metal gate at 10:50 p.m. The gate reportedly separated the Carvers’ community from the outside world, and the fire spawned by the crash was so hot and virulent that it took the Riverside County Fire Department nearly an hour to get it under control. Both were pronounced dead at the scene. Survivor Kymberley Suchomel died in her sleep of reportedly natural causes just a week after the shooting. She was 28-years-old and had publicly claimed to have witnessed multiple shooters at the Route 91 concert before her death. Danny Contreras, another survivor of the Las Vegas mass shooting who described multiple shooters was also found dead earlier this week. As YourNewsWire reports, the 35-year-old took to social media days after the Route 91 shooting to tell a tale of multiple shooters at the venue. He was reportedly found shot multiple times and deceased in a vacant Las Vegas area home on October 28, after having tweeted out his claims of two shooters just days after surviving the Las Vegas mass shooting. His tweet was retweeted hundreds of times. Meanwhile, Snopes is skeptical. 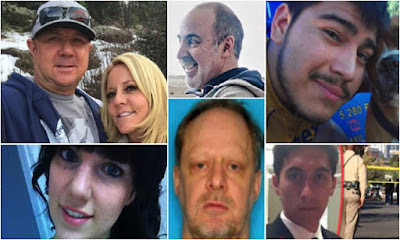 The Snopes site called some of it misinformation in "Did Seven ‘Key Witnesses’ to Las Vegas Shooting Die Under ‘Suspicious Circumstances’?" Las Vegas survivor deaths = misinformation? Whatever is occurring, it does appear that some "survivors" feel "star-crossed."